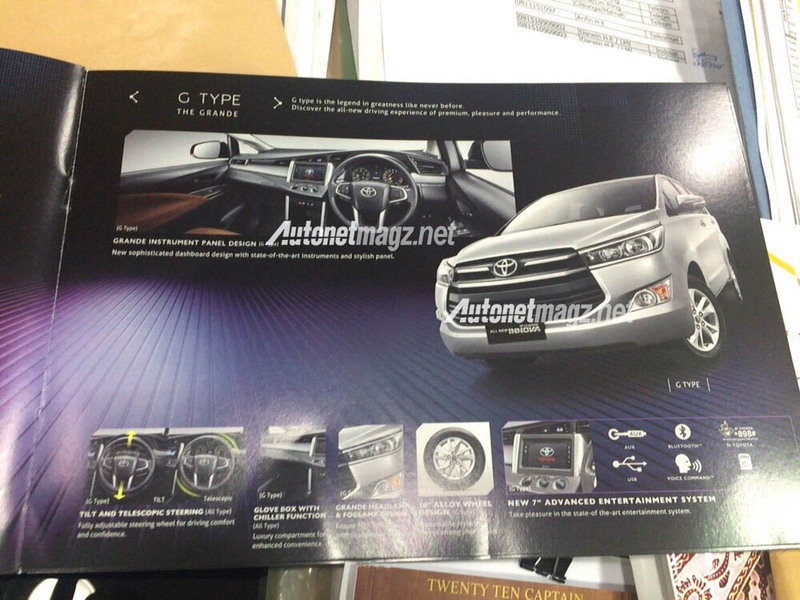 Scheduled for launch sometimes during year the details regarding generation next Toyota Innova have been disclosed through cracked brouchers. It would be interested to know that the Innova 2016 does not carry any similarity from existing version of Innova which was launched almost a decade back. 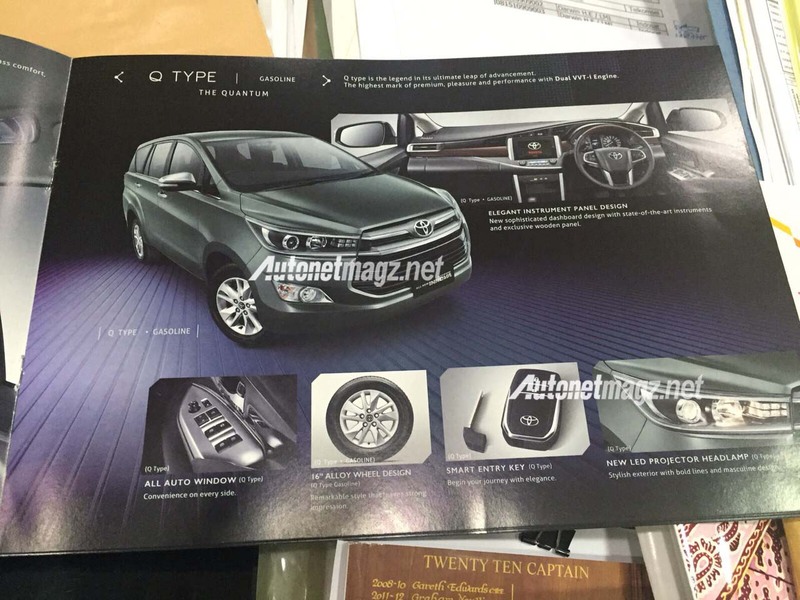 The worth mentioning feature that would be adhered in new Innova is integration of completely new engine alike new Fortuner expected to debut next month. 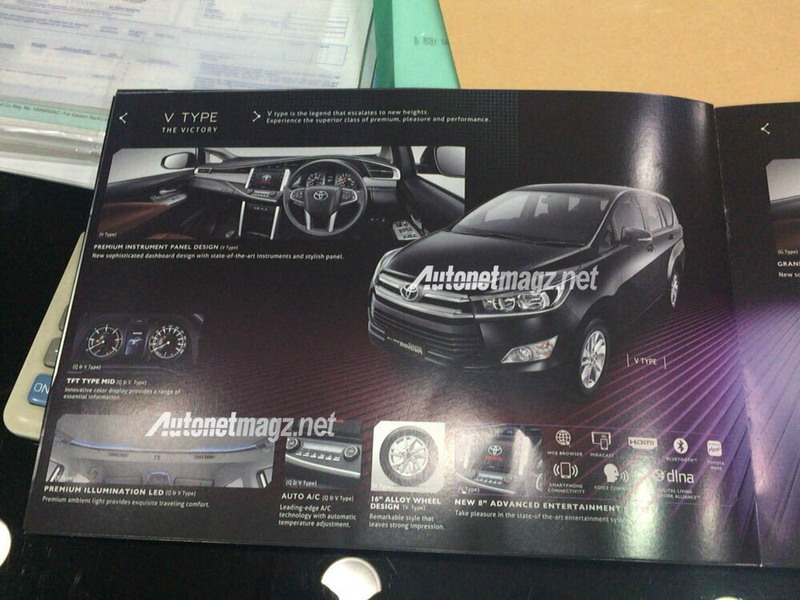 The upcoming version of Innova is speculated to be showcased during upcoming Indian Auto Expo 2016. 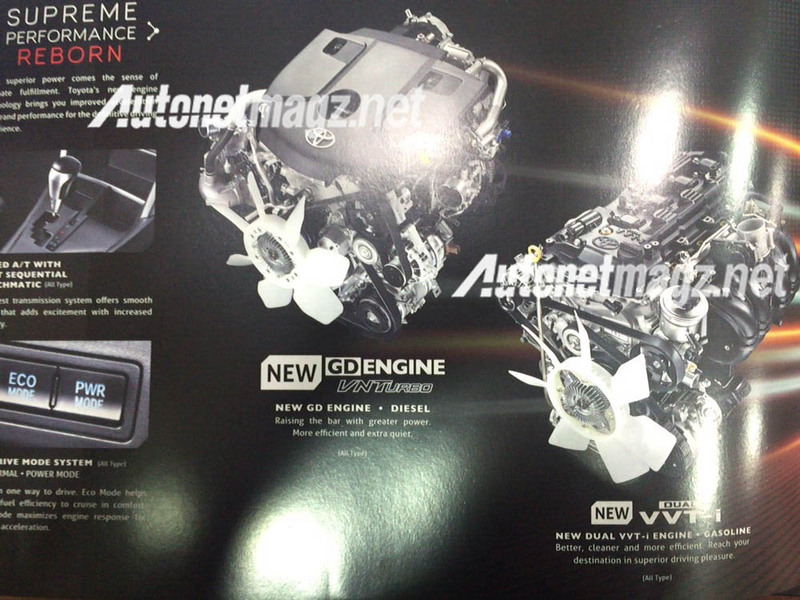 To begin with the changes that would be offered under the bonnet will include 2.4 litre turbo-intercooled direct injection diesel engine churning the power of 140 PS at 3,400 rpm and torque of 342 Nm followed by option of six speed manual gear transmission system and six speed automatic transmission system when generating the torque of 360Nm. It is reported that in global market it would be also launched in petrol variant empowered with 2.0 litre dual VTVT-i petrol engine. Moving towards the appearance of new Innova it undoubtedly carries more bold, aggressive and dynamic look than outgoing Innova. The front fascia receives chrome garnished hexagonal grille, the headlamps now adorn LED projector lamps along with LED DRLs mounted on grille making it similar to Camry and Corolla. The turn indicators are studded on fog lamps. Inside the cabin you will find complete new interiors carried from Corolla and next generation Fortuner. Other interiors attractions will include enlarged touchscreen infotainment system, ambient lighting system and power windows for both front and rear seats.